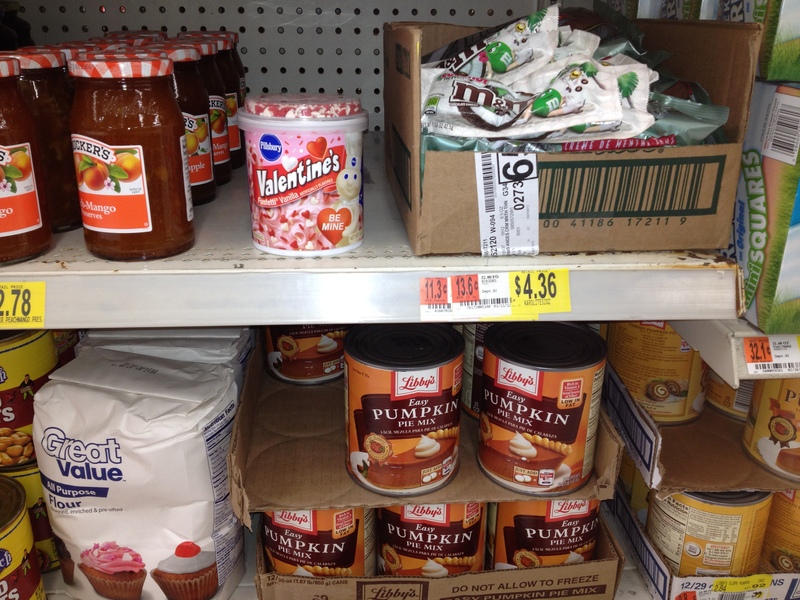 The clearance aisle at Wal-Mart, otherwise known as "holiday purgatory." I’m rebelling. I’m staging a protest. I’m calling it “Occupy Autumn” and I’m refusing to budge until Dec. 1. Or at least until Thanksgiving’s over. Who’s with me??? I mean, Christmas ads are all over TV, Wal-Mart’s been stocking eggnog for a couple of weeks and my town already has Christmas lights strung up and downtown windows decorated — and all before we barely got out of our Halloween costumes and had time to separate the good candy (anything chocolate, caramel or peanut butter) from the bad (anything that looks as if it came from a basket of restaurant mints). Forget Turkey Day — Christmas*** already has obliterated that quaint tradition and now has set its sights on blasting Oct. 31 out of the holiday rotation. Before you know it, Labor Day will simply be a precursor to the pre–pre-Christmas sales. So, let’s make a stand. 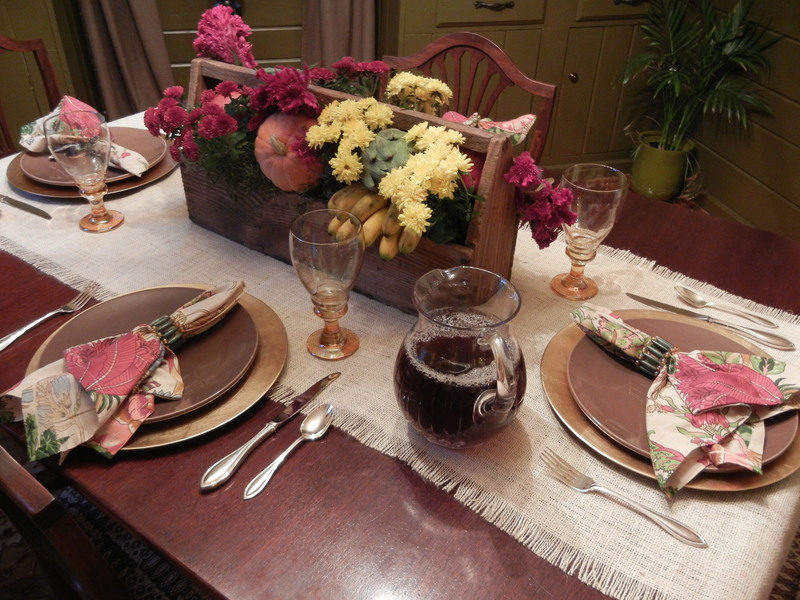 Keep your pumpkins and your earth-tone tableware out for a few more weeks. 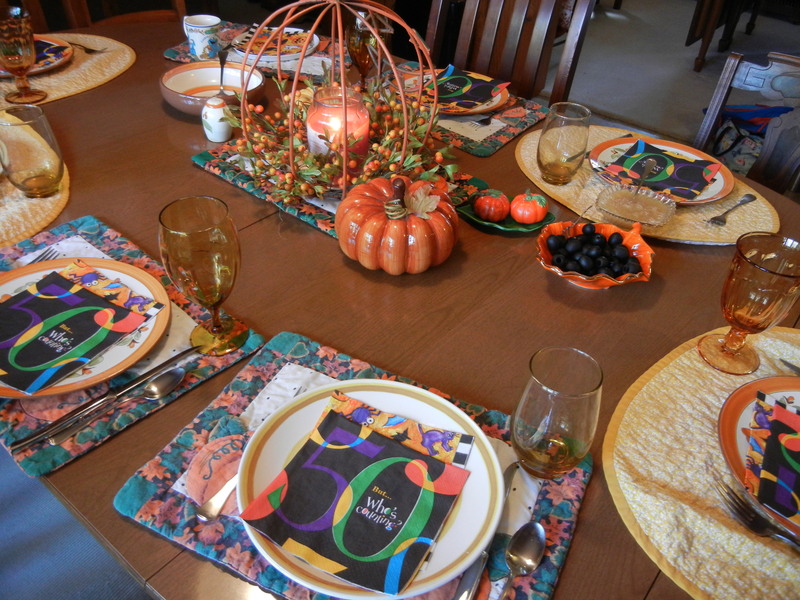 Use those orange dishes and autumn-themed linens right up until December. 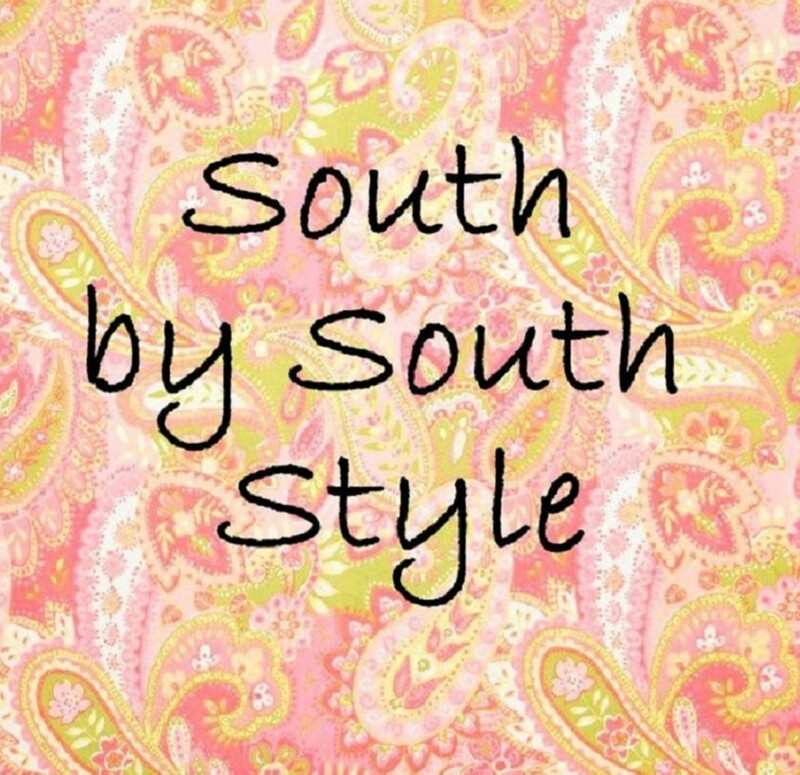 Let your fall flag fly! ***And by “Christmas,” I mean that whole outspend/out-buy/out-holiday mentality that causes us to go broke and crazy every year about this time. The birth of a baby to a young couple staying in a barn in Bethlehem about 2,000 years ago? That’s a whole different story. 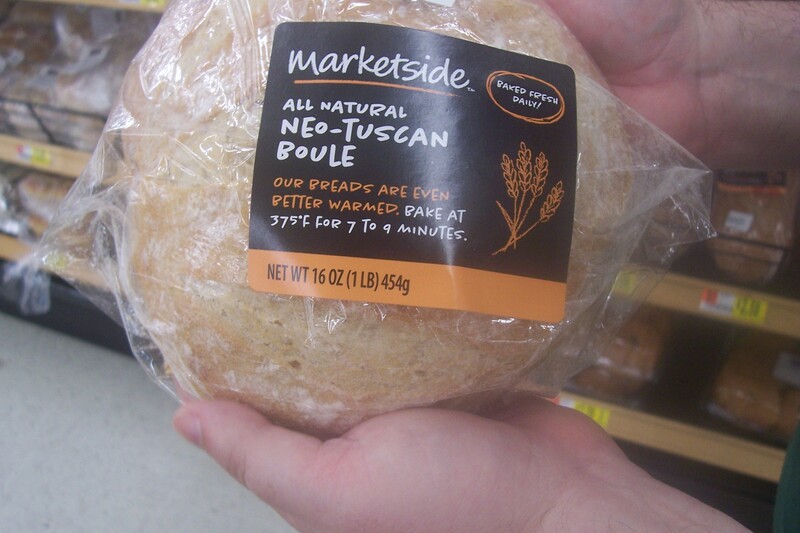 Husband JP was flummoxed by this loaf of "Neo-Tuscan" bread we found in a Wal-Mart bakery department. I mean, "neo-Tuscan?" What does that even mean? Is there such a thing as "new-Tuscan?" We in no way would ever be confused that we perhaps were buying "old-Tuscan" bread. But at least the label has all the triggering words that make me add an item to my shopping bags: natural, Tuscan, boule. Never mind that this basically is a round loaf of soft crusty white bread. It's "neo-Tuscan!" So there! I admit I’m not young and cool. I admit I think Lady Gaga should put some pants on. I admit I’m in that demographic of Super Bowl halftime-show viewers who said, “You know, Pete and Roger haven’t changed that much since I first saw them in ’75. When we had to walk 10 miles in the snow uphill both ways to get to the show.” But I was blown away by the great music I heard on the recent Grammy Award broadcast. I mean, despite Lady Gaga’s weird green Tinkerbell ensemble, her performance was powerfully awesome. Same with Beyonce and Pink. And Green Day and Kings of Leon. And I found myself tapping and clapping along with newcomer the Zac Brown Band. And Taylor Swift was intriguing — I mean, she knows she can’t sing but she’s so supremely confident that she does it anyway? Who is this kid??? So then I wanted to hear more from these folks — and of course classic favorites such as the Dave Matthews Band and even the Black-Eyed Peas. If I were music-savvy and had plenty of money, I’m sure I’d already have a Grammy-worthy CD and iTunes collection. But I’m not and I don’t. So, Wal-Mart to the rescue! 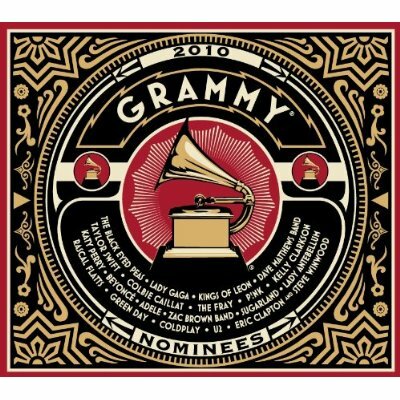 Running past the electronics department — between office supplies and dairy — I spotted this $11 CD of Grammy nominees and I’ve been rocking out ever since. I promise you have to smile when you hear Fergie promising you a good night and Sugarland bemoaning that “It Happens.” You can order it from http://www.grammy.com/, too. This is like bullet points for pop music of the past few months — your kids and friends will be impressed.